Twist out using flaxseed gel. 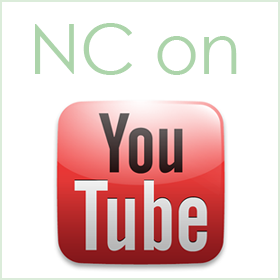 Watch video here. Achieving a great twist out takes a bit of practice, but there are some steps people often omit that can ruin the style. I’m going to show you how to get great results every time! 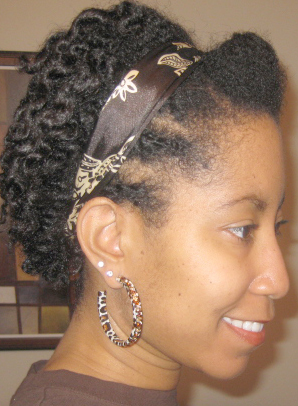 The twist out directions are below, but transitioners pay attention and learn what not to do! When I was transitioning, I didn’t have much luck with my first two strand twist out because my ends were very thin and damaged. Yikes! What a train wreck! Notice how damaged and thin my ends are, especially near the front. I had at least 3-4 inches that really needed to be cut off, but I was trying to hold on to as much hair as I could since I had already cut more than I wanted to. This would have looked much better had I trimmed more of my hair first. I put rollers on the ends to give them a slight bump because the straight look was NOT HOT! 🙂 That helped a little, but the ends really ruined the style. Notice that my hair looks a lot healthier because those scraggly ends are gone. I also had a few more inches of natural hair here, which makes for a fuller look. 1. 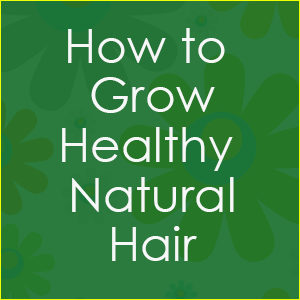 Make sure your ends are trimmed and you’ve gotten rid of any that are overly thin and damaged. 2. Shampoo and condition your hair as normal. 3. While your hair is wet and detangled, grab a section of hair to twist. 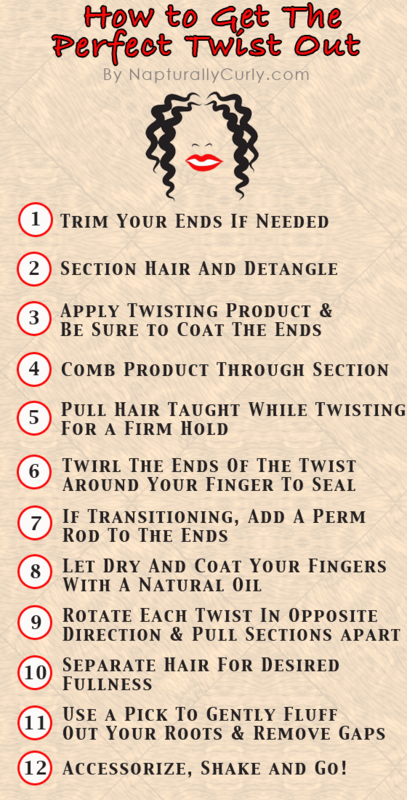 Apply your favorite twisting product. If you want a more stretched, longer twist out, let your hair dry in twists or some kind of stretched style and twist on dry hair. You can also try a setting lotion instead of a twisting creme or gel. I like BB’s setting lotion because it doesn’t have have alcohol, which can dry out your hair. 4. Twist your hair taut all the way to the end and transitioners should use a perm rod on the end to keep them from hanging straight and unraveling. 5. Allow hair to dry fully. If you take your twists down while wet or damp, you’ll get frizz. 6. Remove the rods (if applicable). 7. Coat your fingers with a natural oil (castor, olive etc.) to prevent frizz and remove the twists by gently twisting/rotating the entire twist in the opposite direction. 8. Once you begin rotating, gently slide your finger between the twisted hairs and the twists should come apart easily. NOTE: Don’t try to pry the twists apart without rotating them in the opposite direction first or you may frizz the hair. 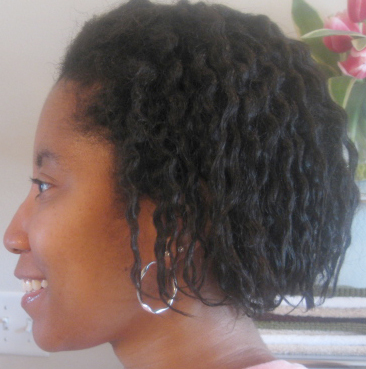 You may need to re-twist your hair at night depending on how defined you want your style to be for days to come. 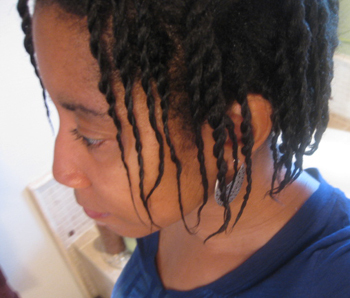 Apply a small amount of your twisting product and re-twist. Just be careful of re-applying too much product because you don’t want build up. Sleep in a satin bonnet to preserve your style. If you don’t want to re-twist and your hair is longer, you can “pineapple the hair” by making a loose, high puff on top of your head with a Goody band. Then wrap the sides of your hair with a satin scarf. Hey lisa, i have a question. I haven’t had a perm on in 1 1/2. During that time i have had my hair braided. The lady time i went to african shop and they have stated that i still have perm in my hair. I have made sure to trim my hair evertytime i get ready to get my hair braided. I have seen that me hair is growing. 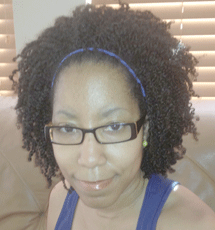 What is the best way to come from transitioning to natural? 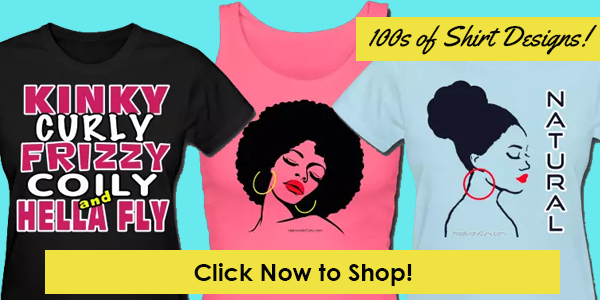 How did you keep your hair from breaking or shedding to much when transitioning. Trim often and always deep condition. 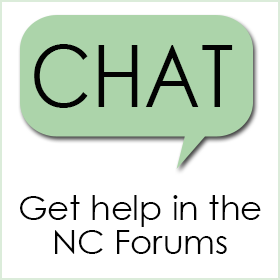 I had a question I’m currently transitioning my last perm was in April 2016. My hair is so used to me straightening it with a flat iron iron that it seems permanently semi straight and my ends didn’t turn out right when I tried to flat twist. I was wondering 1) when you go to get your split ends cut how is your hair like did you straight it first or just blow-dry? Thank you so much for all of your advice. Everything you’ve said so far is so on point. I’m excited, but not fearful. I can’t wait to see what my hair looks like in 6 months. I’m only in months 2 to 4. I’m newly transitioning as well. 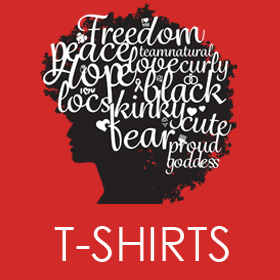 Last perm was in May so I’m about 12 weeks in……..my hair is short and tapered so it was difficult to twist so I’ve been using perm rods and flexi rods. I’m learning to stick with what you have found that works. Excited about what will become of my hair. during in your first 3 months of transitioning, did you use the blowdryer after shampoo and condition? I have not used any heat on my hair since before my transition. I always did rod sets or some sort when I transitioned.